The most delicious bundle in video game history is now available in Hong Kong. Microsoft and Triple-O's are teaming up to make console gamers fatter by including a free hamburger with the purchase of an Xbox One. According to the folks at Siliconera, the bundle is part of a Dead or Alive 5: Last Round promotion. The package includes an Xbox One with a 500GB hard drive, download codes for Assassin’s Creed Unity and Black Flag, and a physical copy of Dead or Alive 5: Last Round. Plus, players get a four-month subscription to Xbox Live, a Biotherm Homme bag, a handful of Xbox Live credits, and a Dead or Alive pillow. But that's not the best part. Players will also get a voucher for an Xbox One-themed hamburger at Triple-O's. If you already own an Xbox One, you can purchase the burger à la carte, but the transaction will probably be less satisfying. 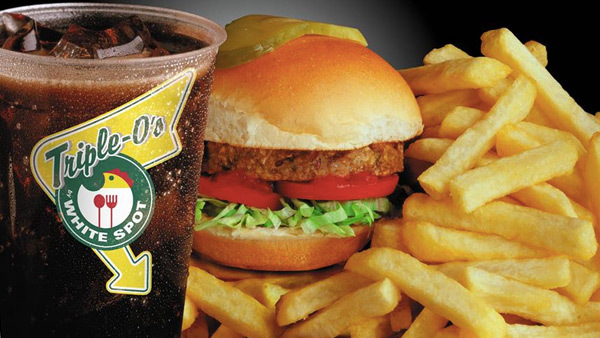 Triple-O's is a Vancouver-based burger chain that was founded in 1928. Most of the franchise's restaurants are sprinkled around British Columbia and Alberta, but Hong Kong, Singapore, China, and the Philippines have been experiencing an influx of fresh Canadian beef thanks to a Triple-O's invasion. Sadly, the Xbox One hamburger is only available in Hong Kong, but the chain's Wanchai location is extremely enthusiastic. The dining room has been reskinned in green and white, the Xbox One's color palette, and game posters cover nearly every inch of wall space. Post by Triple O's HK. Burger joints and video games have always had a cozy relationship. Recently, McDonalds held an Xbox One sweepstakes, and Carl's Jr. gave away copies of Activision's Amazing Spide-Man game. And let's not forget about Sneak King, the Burger King-branded video game that featured the company's creepy mascot. Plus, White Castle is basically the only restaurant that's open at one in the morning, after a lengthy League of Legends binge. But none of these burger-related marriages compares to Triple-O's Xbox One tie-in. Though, it probably has more to do with the food culture in Hong Kong than the restaurant's love of gaming. Hong Kong has never been shy about dressing up its hamburgers. 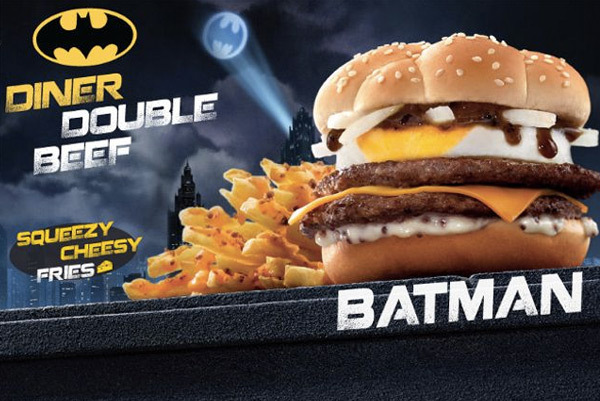 Last year, McDonald's introduced a mysterious Batman Burger, which featured onions, an egg, and an unidentified white sauce. It wasn't part of the black burger fad that's been sweeping Asia, and there wasn't any promotion tied to the sandwich. So, the reason for its existence is a mystery. But the logic behind Triple-O's Xbox One burger isn't a mystery. Microsoft needs to sell consoles in Asia, and hamburgers are delightful.